Harrison Goaté was founded in 1979. It is a broad-service consultancy in general practice property consultancy and the current LLP was formed from the merger of Robert John Associates and Harrison Goaté London Ltd in 2013. We operate throughout the UK but are most active in London and the South-East. We act for occupiers and investors, for landlords and tenants, for vendors and purchasers. Instructions range in size from the smallest shop or office to properties worth £100m or more. Click on the link to Cases to see that whatever your property, we have probably dealt with something similar. However wide our range and that of our “in-house” consultants, there will always be matters that are outside our expertise or where we feel a particular specialist may be in the client’s best interest. We do not hesitate to advise bringing in outside expertise where appropriate and will never accept an instruction that we are not completely competent to handle. 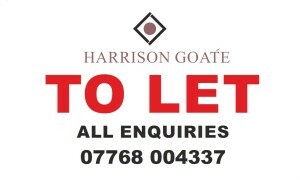 Harrison Goaté LLP is regulated by the Royal Institution of Chartered Surveyors.